Is there such a group (Messy Crafters Anonymous) and is there a 12-step program for us? 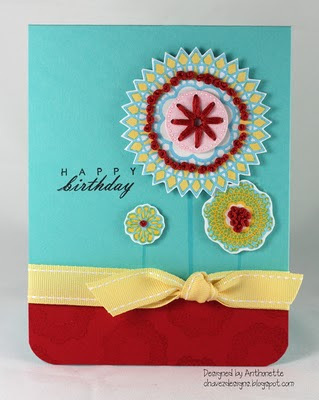 I loved Kristina's latest blog post about real crafters making real messes. I definitely can make a big mess in a short time. Do I love the mess? Definitely not! Do I save too many scraps? Yes. I clean up and put things away once I can't stand it anymore and I can't find basic tools. 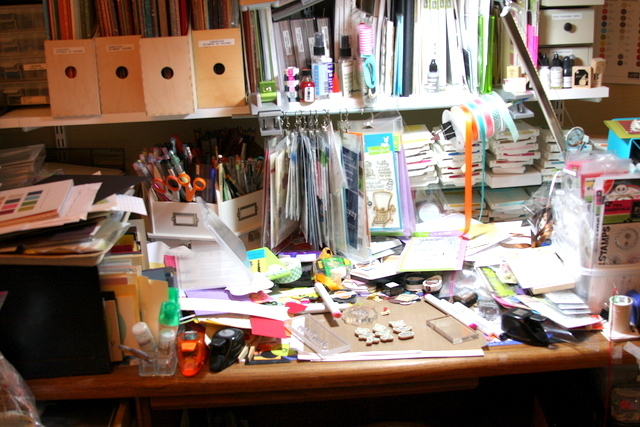 My crafting time is very limited, so putting things away and tidying up are not on the top of my To Do list most days. Here is my desk right now. I'm not even showing you the floor, sister, but I think you get the picture. Haha! Are you going to show your crafting space? The busy birthday month continues in my family. Today is my sister, Esther's birthday. Here's the card I made for her. The stamps are from Hero Arts. Loved this birthday set. You can never have enough birthday sentiments and images. I dry embossed the cardstock with an embossing folder from Papertrey Ink. 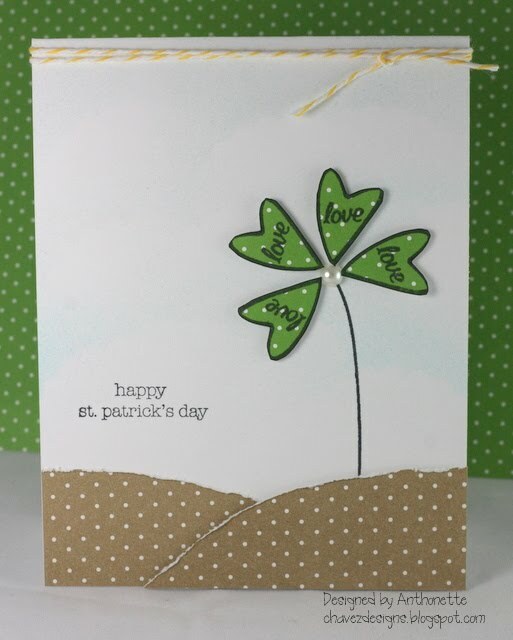 I had finished the card, when I accidently smudged the Stickles glitter glue on the card. 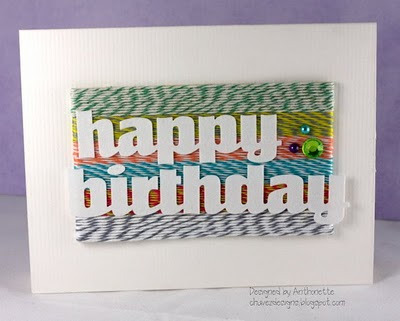 To minimize my mistake, I scraped away the glitter and rubbed a white ink on the card front. I can still see the mistake, but hopefully you can't. I popped up the cake with dimension adhesive. I used a Copic marker to highlight some of the details on the cake. 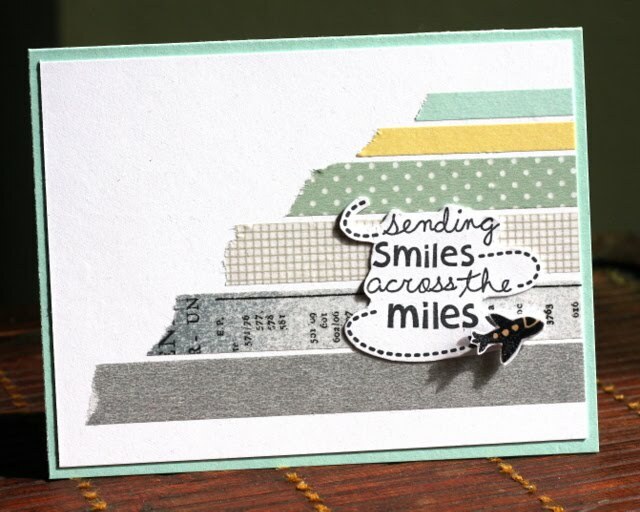 The papers are all from Stampin' Up. Right now I'm listening to music from Aston. They are a classical group from Australia that re-do current songs, like Lady Gaga, Katy Perry, and Coldplay. Check out this site. I'm addicted to their music! They also have YouTube videos here. Well, I've got to run to school right now. Thanks for stopping by! 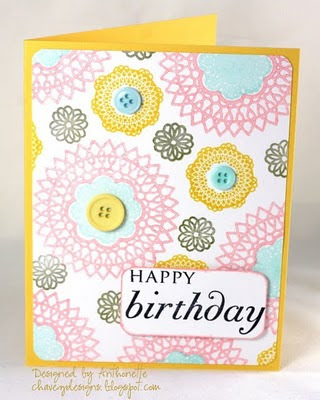 I haven't created a card for a Papertrey Ink Blog Hop in quite a while, but I didn't want to miss this one. Our challenge was to use embroidery floss in a fun and inventive way. I used Dawn's Delightful Doilies stamps to create some flowers and I used embroidery floss by adding a lot of French knots. 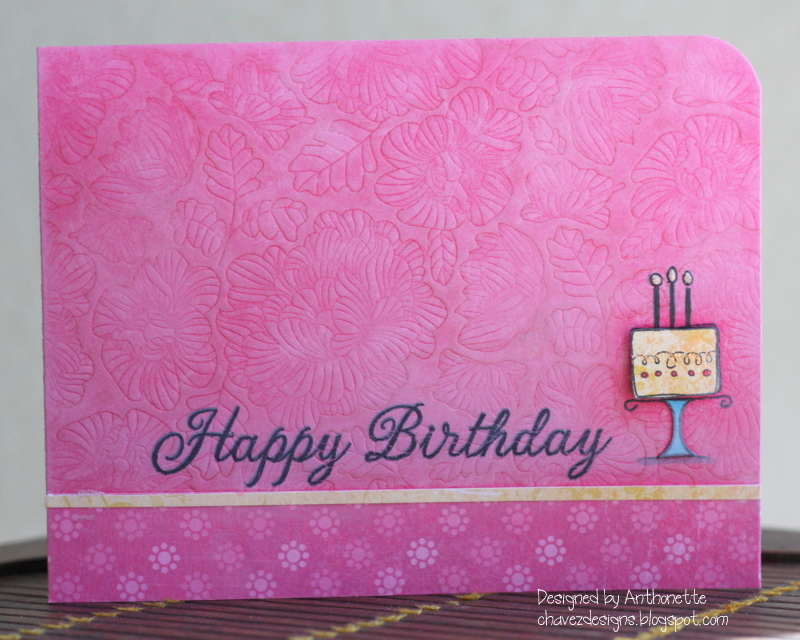 Today is my friend Ericka's birthday, so I made this card for her. She won't receive it in time, but I'll send her the link. 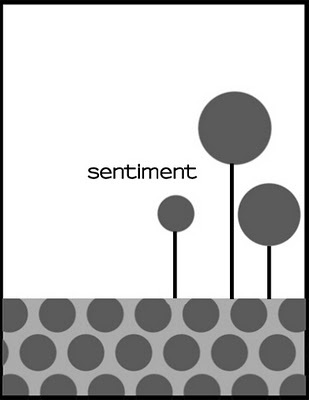 The sketch for my design comes from Clean & Simple sketch #132. Thanks for stopping by! Have a good day. Yesterday was my parent's 48th wedding anniversary. Here's the card I made for them. I used some beautiful stamps from Hero Arts. The Delicate Blossoms set is one of the gifts I received from Jennifer McGuire and Hero Arts for the sewing project I helped with in January. Thanks, Jennifer and Hero Arts! 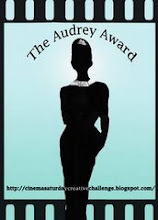 Speaking of anniversary, I forgot about my blog's anniversary. I've been blogging since March 13th, 2008. Three years have gone by quickly. I embossed the Delicate Blossoms with white embossing powder. I used a Copic marker to outline the flowers. 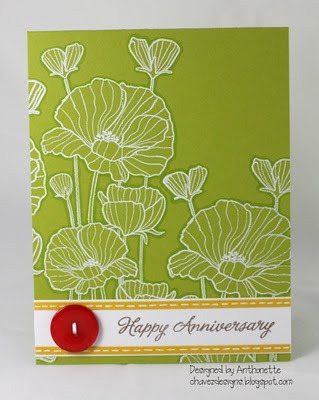 I loved when Nichole Heady outlined floral images with a Copic marker. I love the dimension it adds. That's it, my dears! Thanks for stopping by. "Meet today's card." Those are the words Teri Anderson uses in her blog posts to introduce her creations. Here's a card totally inspired by an awesome card she made in this blog post. Like Teri, I love baker's twine. On Saturday I was able to see Teri in person again. She was at the local Scrapbook Expo teaching classes for Technique Tuesday. Teri introduced me to Lisa (Paper Grace Designs). Lisa and I shopped the Expo together. We were both at the CHA Supershow over a year ago and met the same people, but didn't meet each other until Saturday. I started with a piece of matboard and covered the entire surface (and part of the back) with double-sided tape. I trimmed lengths of baker's twine and attached them to the matboard. I finished off the card with the happy birthday sentiment and some bling. I'm sending this card to my niece. 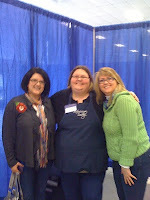 Here' s a picture of the 3 of us Teri posted on Twitter. Hope you are doing well in your part of the world. It's been super rainy and cold in my part of country. 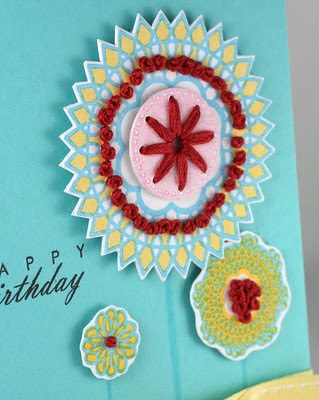 Here's a fun card I made for my sweet Aunt Ruby in New Mexico. She's not doing well; Parkinson's disease has taken a huge toll on her body. Here are some previous cards I made for her: here and here. 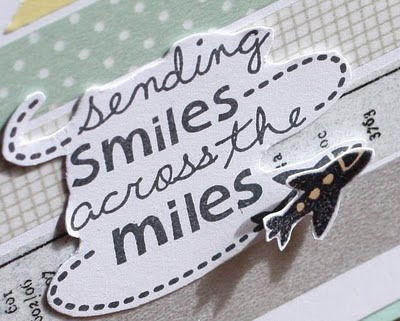 I know she loves receiving cards, so I want to brighten up her day. This stripes are washi tapes that I've collected. 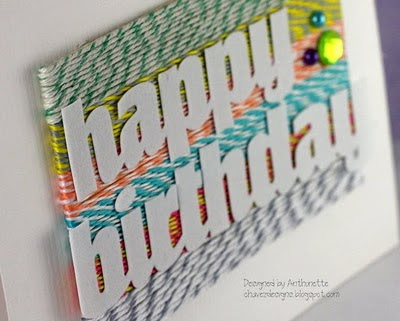 I love washi tape! I love that it is repositionable. 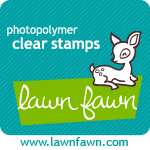 The stamp is from Lawn Fawn. The card is very simple. I added Diamond Glaze to the airplane. I hope you're having a great day. Today PSA Essentials is hosting a St. Patrick's Day blog hop. Start hopping here for a chance to win some PSA Essentials stamps. I hope your Saturday is going well. The guys and I got up early to have breakfast at IHOP. Besides eggs, I ordered the Nutella crepes with bananas. Wow, very sweet and good. My mom used to make crepes years ago. I should get her recipe. I've been reading and watching the news coverage about the earthquake devastation in Japan. My hearts go out to everyone affected. I'm amazed at the sheer power of this event. For the tsunami to reach my part of California is incredible. 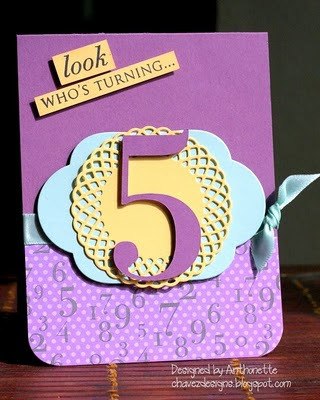 On a happier note, here's a card I made for my niece, Saharra, who turned 5 last week. The papers and stamps are all from Papertrey Ink. I love their new doily metal dies. So cool! I used my Silhouette digital cutter to cut the number 5. The font I used was BodoniXT. You can download it for free here. 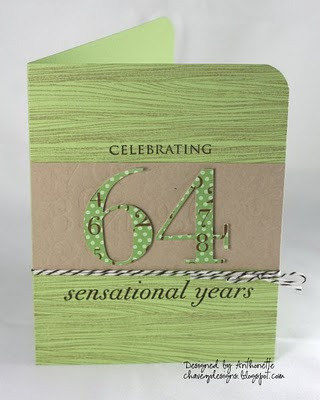 Yesterday was my father-in-law's 64th birthday. 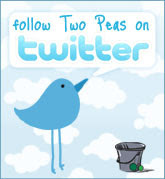 This is the card designed for him. 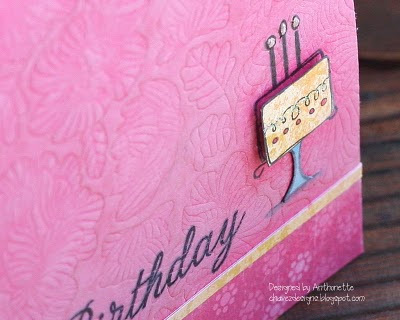 Inside the card I stamped "Feliz Cumpleanos". 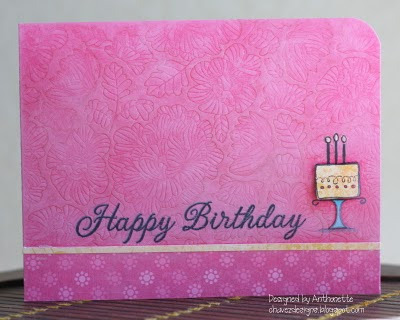 I'm loving the Big Birthday Wishes set from Papertrey Ink. I had to order it. I love their new metal dies for the numbers, but I didn't order them. I decided to use my Silhouette digital cutter instead. 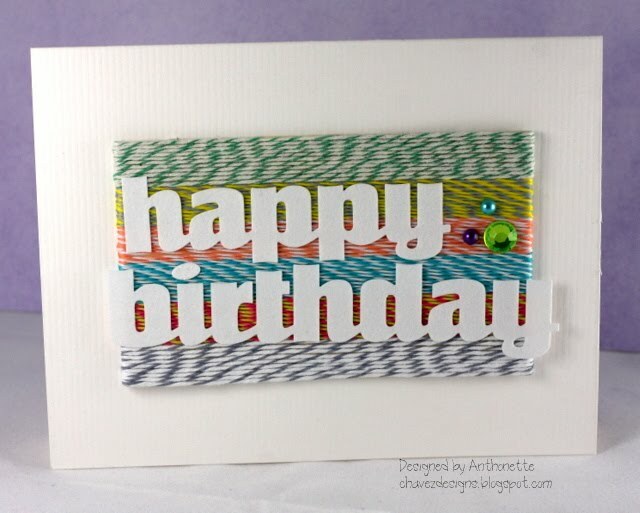 I searched for a font that looked very similar to the font of the Papertrey Ink number dies. I found that BodoniXT is a very close match (not for the number 6, but it's close for the other numbers). You can download it for free here. 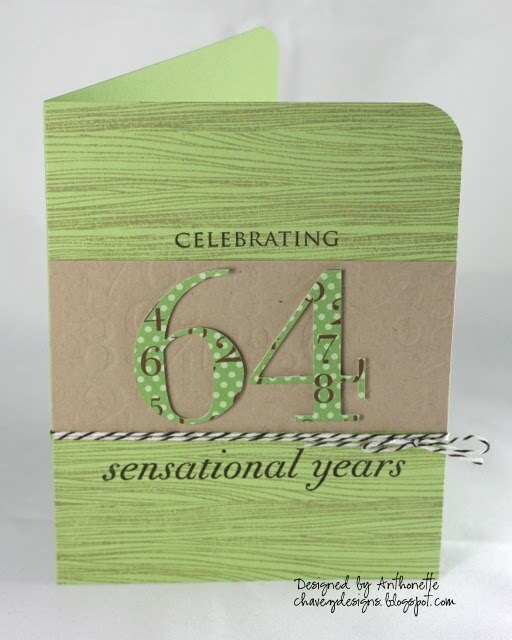 On the kraft cardstock I used the numbers impression plate, but you barely see that detail in the photo. Hi there, it's me again. There were several birthdays this weekend and today is my father-in-law's birthday. Last night I went to a birthday dinner for my dear friend, Rekha. Here's the card I made for her. The card contains new goodies from Papertrey Ink. I've got more birthday cards to show you soon. Thanks for stopping by!